Stephen Rouelle was born in Montpelier, Vermont where he attended Central Vermont Vocational School for culinary studies and earned a culinary arts degree from Johnson & Wales University in Providence, Rhode Island. He has more than 30 years of culinary experience, including working in top restaurants in Vermont, Ohio, Hawaii and international locations. He was the executive sous chef at The Fairmont Orchid and had been at the Mauna Lani resort both in Hawaii since 1992, when it was a Ritz-Carlton. 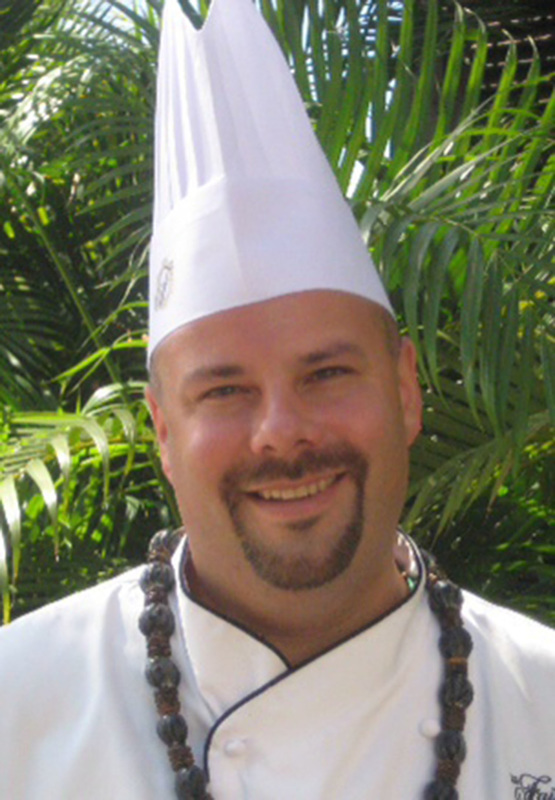 In 2012, he was named Chef of the Year by the American Culinary Federation Kona Kohala Chefs Association and is also a recipient of The Hawaii Tropical Fruit Growers Association appreciation award supporting Hawaii’s tropical fruit industry. In 2014 Stephen along with a co-owner opened Under the Bodhi Tree a restaurant located at the Mauna Lani Shops along the Kona coast of the island of Hawaii. He is a huge advocate for Hawaii grown tea and has experimented with the numerous complexities of the specialty crop.